The Mid-Ohio Regional Planning Commission (MORPC) recently completed its work on the Franklin County Energy Study and found the opportunity to keep $509 million within the local economy every year. 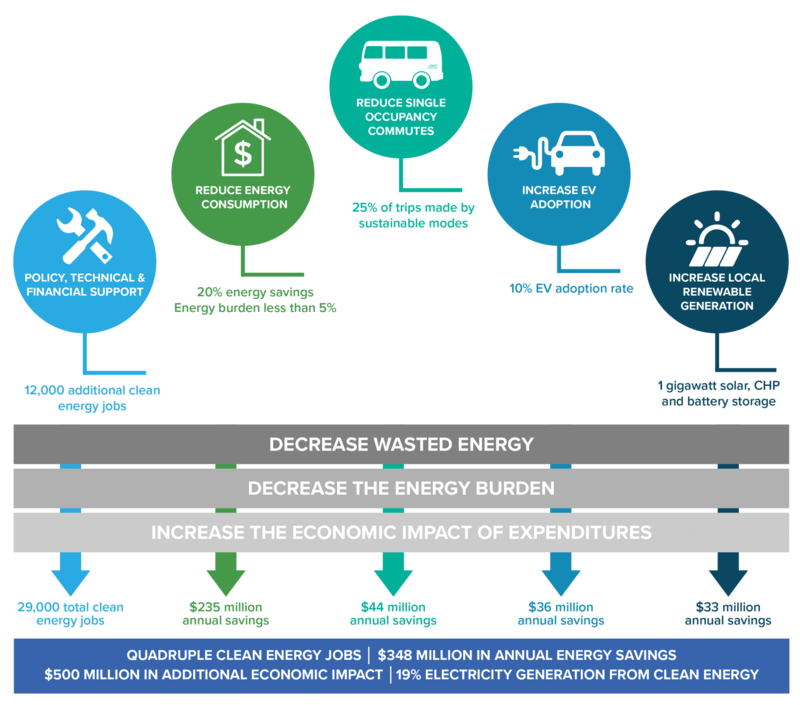 Nearly 70 percent of the energy paid for each year is wasted through inefficiencies, so many residents and businesses can benefit from energy efficiency to save them money. The study was commissioned by the Franklin County Board of Commissioners to better understand how the county produces and uses energy, and the impact energy has on communities and residents. It establishes an energy baseline by examining how much and how intensively energy is produced, imported, consumed and lost annually by the county. The baseline will serve as a starting point to align regional energy initiatives, set priorities and measure success. Franklin County is doing well in many areas. Franklin County is productive with the energy it uses. The energy productivity is on par or better than the national average, which is a measure of the income generated per unit of energy consumed. Total emissions associated with energy consumption are decreasing while population increases. Local utilities are active in pursuing customer-focused programs around energy efficiency. Many local initiatives are already in place to address energy consumption. There are three areas needing improvement. There are neighborhoods in Franklin County that are paying a higher-than-acceptable percentage of their household income to heat and power their homes. The residential energy burden is a measure of spending on energy compared to household income. These communities are paying more than what is typical and acceptable in the United States. Our money flows out of Franklin County because most energy comes from outside the county. Nearly 100 percent of the electricity, heating, and transportation fuels consumed in the county come from outside the county. The majority of energy is wasted due to inefficiency. As a result, Franklin County residents and businesses are spending more on energy that what is necessary. Provide policy, technical and financial support. Reduce energy consumption in homes and businesses by 20 percent. Reduce single-occupancy commutes to 75 percent. Increase the adoption of electric vehicles to 10 percent. Increase local renewable generation to 1 gigawatt. Through these recommendations, Franklin County has the opportunity keep an additional $509 million within the local economy annually and realize up to $348 million in annual consumer savings for its residents and businesses. The Franklin County Energy Study is available to download here, and the recommendations are available here.